The Salt and Peppermint Bark body scrub was a brand new release as part of last years (2015) Christmas range. Out of all the products that were released last year this is defiantly my favourite product out of the range. Firstly the design of this scrub is brilliant! Instead of your normal scrub in a pot this is a solid version and comes in the form of a block. 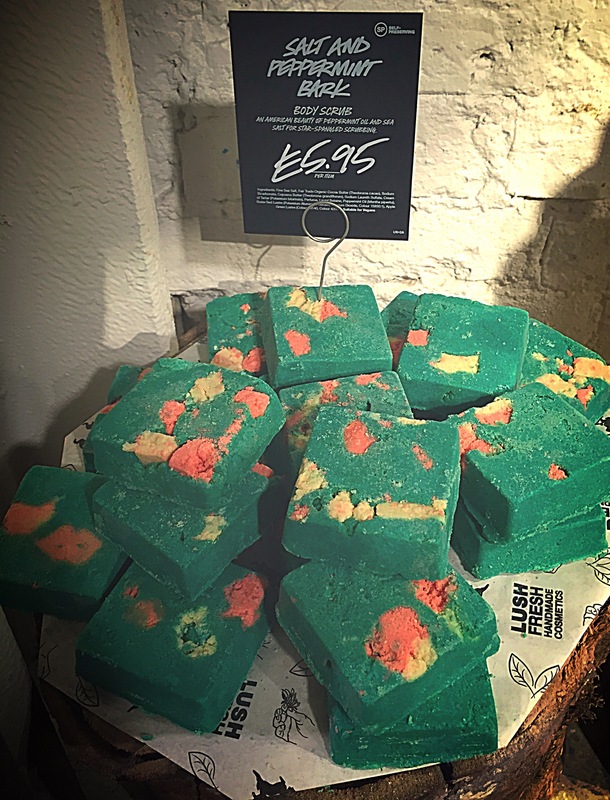 The solid body scrub was first invented by lush and released with the opening of the flagship Oxford street store. Not only does the scrub reduce the need of packaging the solid form also makes this scrub super for travelling. 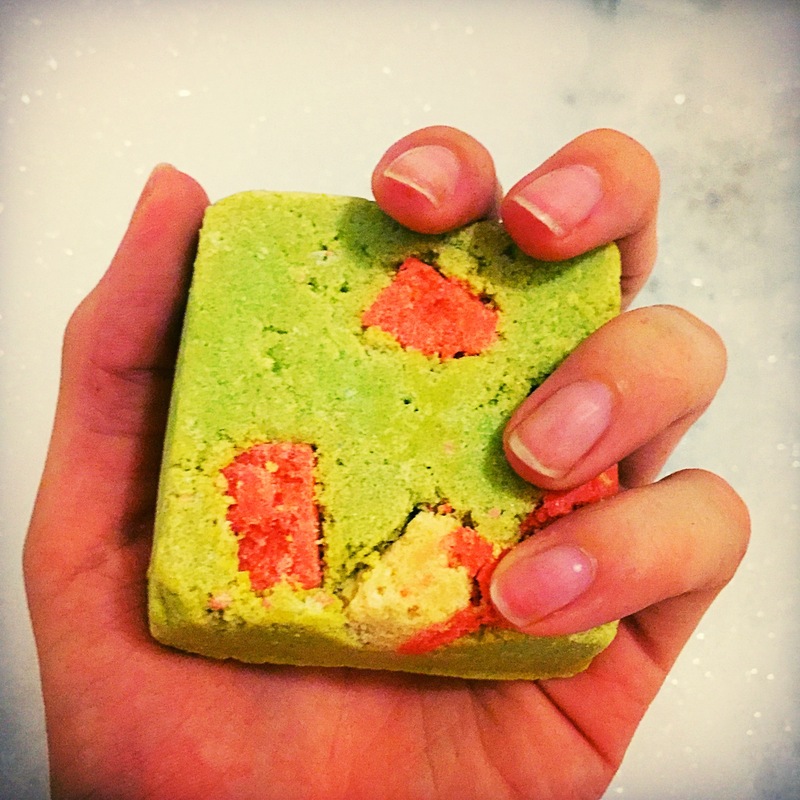 This solid body scrub is quite brightly coloured and does actually look quite christmasy with its mixture of green, yellow and red. The scent of the Salt and Peppermint Bark body scrub is wonderful, featuring a good helping of peppermint oil this is defiantly the main scent of the product. It reminds me very much of candy canes and is a very creamy peppermint scent. The scent of the Salt and Peppermint Bark body scrub is the same as the current Maypole soap if you have had the chance to try that before. What I also love about this scrub is that because it contains fine sea salt it is harsh enough to feel like it’s working but not to harsh that it makes your skin hurt. 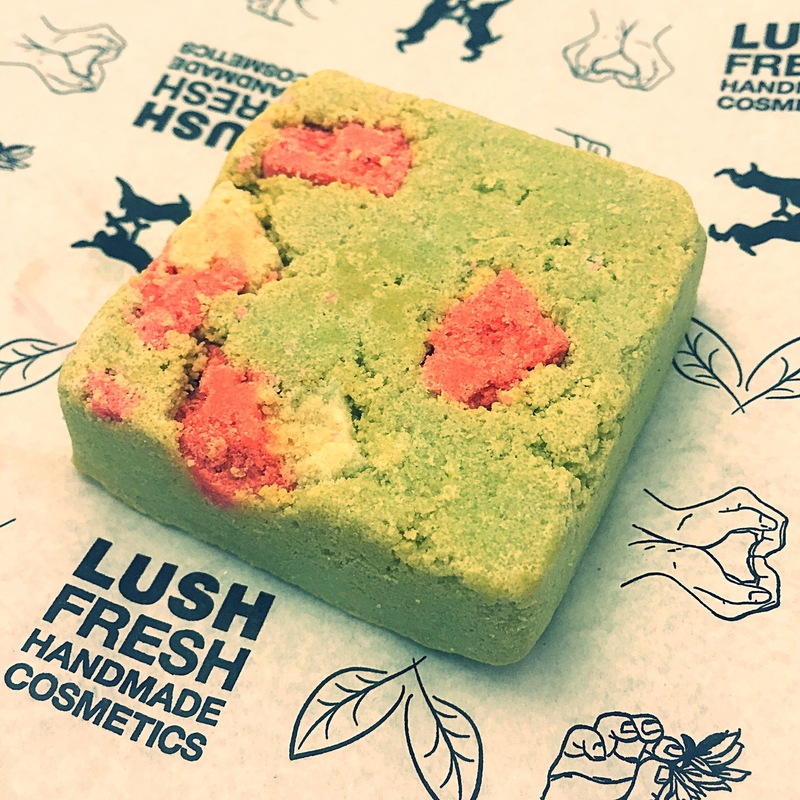 This block of peppermint goodness also contains cocoa butter and cupuacu butter which give this scrub a wonderful moisturising quality. Overall I love this product (if you hadn’t already guessed), I love the scent which is very refreshing and I love the solid format. I’m really looking forward to picking up a few more of these this Christmas. This was literally my favorite product from the Christmas range, I picked up 6 during the Boxing Day sale! So glad it’s making a return this year, I’m down to my last one.